Melowese Richardson, convicted of voter fraud and then released early from prison, called to stage for a "welcome home." CINCINNATI - A long-time poll worker who admitted to illegal voting was sentenced to five years in prison Wednesday and received a rebuke from the judge, who cited her criminal past. 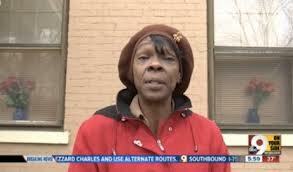 Melowese Richardson, 58, pleaded no contest to four counts of illegal voting in 2009, 2011 and 2012. One count charged her with voting for her sister, who is in a coma. Four other counts were dropped in exchange for Richardson's plea. During a passionate sentencing speech, Hamilton County Judge Robert P. Ruehlman laid out a laundry list of past charges against Richardson - from witness harassment to theft to assault - as Richardson stood before him. "I'm Melowese Richardson. I take the law into my own hands. I do what I want," Ruehlman said. "It's about criminal activity. You are a criminal." That was only eight months ago. For some reason, she has already been released. At an event that was all about voting law, Ohio Democrats invited a person guilty of multiple counts of voter fraud to speak – to "welcome her back" and applaud her. They invited her up to the stage, like some sort of hero. Former longtime St. Joseph County Democratic party Chairman Butch Morgan Jr. was found guilty of felony conspiracy counts to commit petition fraud and forgery, and former county Board of Elections worker Dustin Blythe was found guilty of felony forgery counts and falsely making a petition, after being accused of faking petitions that enabled Obama, then an Illinois Senator, to get on the presidential primary ballot for his first run for the White House. Morgan was accused of being the mastermind behind the plot. According to testimony from two former Board of Election officials who pled guilty, Morgan ordered Democratic officials and workers to fake the names and signatures that Obama and Clinton needed to qualify for the presidential race. Blythe, then a Board of Elections employee and Democratic Party volunteer, was accused of forging multiple pages of the Obama petitions. "I think this helped uphold the integrity of the electoral system," the prosecutor, Stan Levco told reporters. “Their verdict of guilt is not a verdict against Democrats, but for honest and fair elections,” he said. The scheme was hatched in January of 2008, according to affidavits from investigators who cite former Board of Registration worker Lucas Burkett, who told them he was in on the plan at first, but then became uneasy and quit. He waited three years before telling authorities about it, but if revelations about any forgeries were raised during the election, the petitions could have been challenged during the contest. A candidate who did not qualify with enough legitimate signatures at the time, could have been bounced from the ballot. The case raise questions about whether in 2008, then candidate Obama actually submitted enough legitimate signatures to have legally qualified for the primary ballot. “I think had they been challenged successfully, he probably would not have been on the ballot,” Levco told Fox News. Under state law, presidential candidates need to qualify for the primary ballots with 500 signatures from each of the state's nine congressional districts. Indiana election officials say that in St. Joseph County, which is the 2nd Congressional district, the Obama campaign qualified with 534 signatures; Clinton's camp had 704. Prosecutors say that in President Obama's case, nine of the petition pages were apparently forged. Each petition contains up to 10 names, making a possible total of 90 names, which, if faked, could have brought the Obama total below the legal limit required to qualify. Prosecutors say 13 Clinton petitions were apparently forged, meaning up to 130 possibly fake signatures. Even if 130 signatures had been challenged, it would have still left Mrs. Clinton with enough signatures to meet the 500 person threshold. Levco said a total of “100 to 200” signatures had been forged on Obama’s and Clinton’s petitions. An Indiana State Police investigator said in court papers that the agency examined the suspect Obama petitions and "selected names at random from each of the petition pages and contacted those people directly. We found at least one person (and often multiple people) from each page who confirmed that they had not signed" petitions "or given consent for their name and/or signature to appear." Numerous voters told Fox News that they never signed the petitions. "That's not my signature," Charity Rorie, a mother of four, told us when we showed her the Obama petition with her name and signature. She was stunned, saying that it "absolutely" was a fake. Charity told Fox News that her husband's entry was also a forgery, and that they have never been contacted by investigators or any authorities looking into the scandal. "It's scary, it's shocking. It definitely is illegal," she told us. Robert Hunter, Jr. told Fox news that his name was faked, too. Even a former Democratic Governor of Indiana, Joe Kernan, told Fox News that his name was forged. “This is a bitter sweet moment for free and fair elections," observed Ryan Nees, the Indiana born Yale “University senior who first exposed the scheme in the independent political newsletter, Howey Politics Indiana and South Bend Tribune. Nees said the multiple guilty verdicts were "bitter, because a five-person conspiracy succeeded in illegally placing two presidential candidates on the ballot, but sweet because they were exposed, tried for their crimes, and convicted." Nees previously told Fox News that the fraud was clearly evident, "because page after page of signatures are all in the same handwriting," and that nobody raised any red flags "because election workers in charge of verifying their validity were the same people faking the signatures." Fox News' Meredith Amor contributed to this report. At a press conference this morning Mr. Karygiannis and members of the Canadian Venezuela Diaspora called for the emergency debate to be held. OTTAWA - The Honourable Jim Karygiannis, Member of Parliament for Scarborough-Agincourt and Liberal Critic for Multiculturalism, has requested the speaker of the House of Commons to grant an Emergency Debate Members of this house can discuss and debate what measures should be taken to help ensure that the democratic rights of the people of Venezuela are protected. 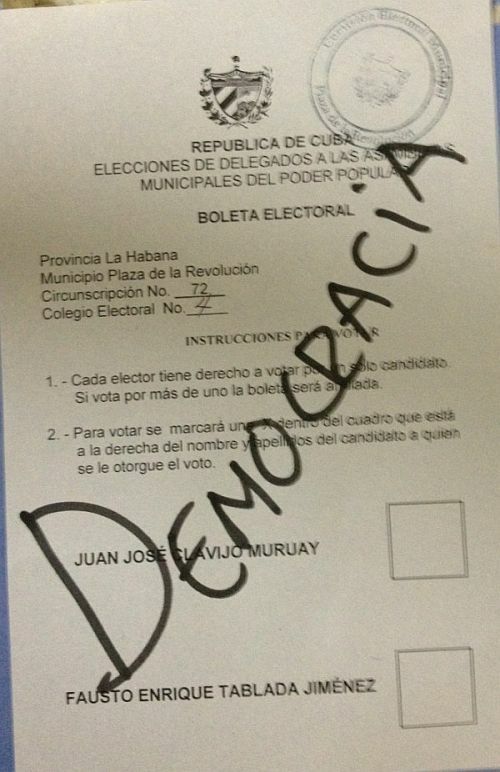 Nicolás Maduro was declared President-elect with 50.8 percent of the votes cast. The opposition, led by Henrique Capriles, called for a recount and the President-elect said in his victory speech that he would not object to a recount. When asked, one of the Election Commission’s members indicated that the Commission would undertake a recount. By Monday, the day after the election, the President-elect had changed his mind, the Election Commission had declared him to be the winner and his inauguration was on Friday, April 19, 2013. 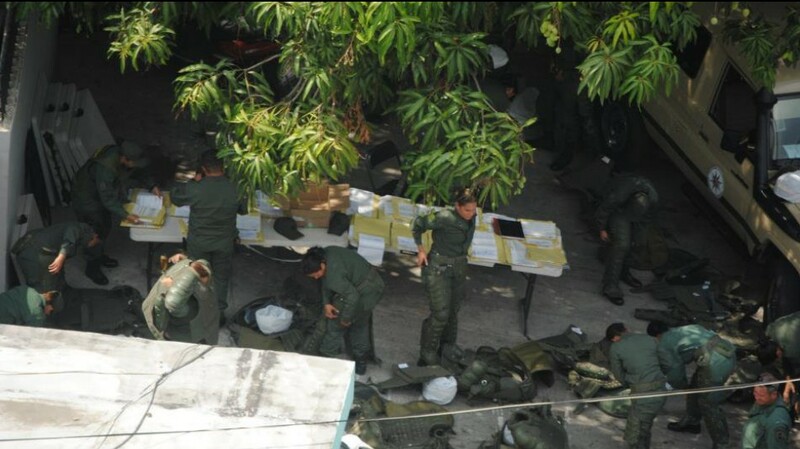 There has been retaliation against people who voted for Capriles. There are reports of mass layoffs of civil servants who supported Capriles. 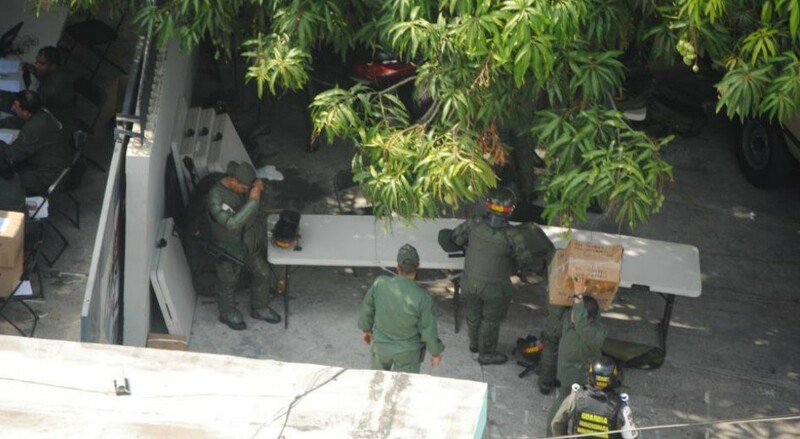 People have been indiscriminately arrested for having supported Capriles. The Election Commission has agreed to audit the 46 percent of the ballot boxes that were not subject to the recount on Election Day. However, the Commission has stated that the results will stand and if someone is not happy with the results, they must take the issue to the Supreme Court of Justice. El candidato de la oposición Henrique Capriles, ofreció una entrevista exclusiva en CNN, donde repasó el momento político que se vive en el país. Preguntado sobre las acusaciones del Gobierno que lo señalan como incitador de la violencia, Capriles explicó “No hay una sola palabra mía que indique el llamado a la violencia, hemos sido combativos contra la mentira, pero nunca buscando enfrentamiento de pueblo contra pueblo. Todo país democrático tiene derecho tras elecciones de hacer auditoría. Yo le pido a las instituciones y al mundo que se haga el conteo, eso no es llamar a la violencia”. “El gobierno quiere violencia. Ellos quieren desviar la atención. El país está separado en dos partes, hay una crisis política en toda Venezuela. Quien está en este momento al frente del Gobierno debe solucionar eso, pero no diciendo amenazas”. “El Gobierno pretende convertir como un delito el conteo de votos”. Antes de ir a comerciales, CNN invitó públicamente a Maduro a un programa especial de una hora al igual que a @hapriles. Capriles explica que el Gobierno es el responsable único de lo que sucede en el país.”El Gobierno es quien se niega a la auditoría. Esa noche del resultado aceptaron abrir las cajas y ese es el deber ser. Si están tan seguros por qué no abrir las cajas, papel por papel. Yo pongo sobre la mesa resolver esta situación”. El candidato de la MUD reveló “Cuando conversé por teléfono con él le dije que debido a los resultados se debía ser una auditoría. Maduro dijo que iba a consultar y luego me devolvía la llamada. Sigo esperando la llamada”. “Yo planteo revisar irregularidad por irregularidad. De constatarse una irregularidad se anula la mesa de donde se presentó”. “Si el reconteo indica que ganó el señor Maduro gana yo lo respeto, pero si dice que Capriles gana, entonces que se respete. El otro candidato se atrinchera en algo de lo que tiene dudas”, afirmó. El abanderado la oposición explicó que una de las razones por las cuales suspendió la manifestación pacífica del miércoles a la sede del Consejo Nacional Electoral (CNE) fue porque reportes de inteligencia le arrojaron datos que el Gobierno filtraría individuos para desestabilizar y enfocar el tema del país en la violencia. “Reportes de inteligencia me dijeron que el señor Maduro infiltraría personas para que existiera violencia en el centro de Caracas y en la misma movilización. Responsablemente dije que no pisaríamos ese peine. Con esa información en mi poder no dejaré que algún venezolano corra riesgo. Nuestro mensaje es de paz”. Sobre los altercados en la Asamblea Nacional que terminaron con el diputado Ismael García herido, Capriles dijo “Eso no puede pasar, ¿Quién es el encargado de la seguridad en la AN?”. Capriles reveló que informes de inteligencia le han reportado que grupos oficialistas tienen la intención de interrumpir y agredir en la casa del gobernador de Miranda esta misma noche. “Yo estaré ahí, por eso si algo pasa con mi integridad física ustedes ya saben quien fue”. “Maduro dijo que él no me reconocería como gobernador, pero como presidente es que tiene que hacerlo”. Acerca de con quien se queda entre el fallecido Hugo Chávez y Nicolás Maduro, Capriles respondió “Independientemente sobre las diferencias que tuve con el presidente Chávez, él era un líder”. “Nosotros ganamos ocho estados del país, casi un millón de votos del presidente. 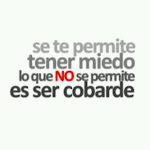 Los liderazgos no se heredan, se construyen”. “Chávez nunca prohibió manifestaciones, Maduro porque le dio la gana quiere prohibir una. Creo que la conducta de Maduro no genera respeto en los venezolanos”. Capriles explicó que la misión es que Venezuela y el mundo conozcan la verdad. “En los próximos días conocerán nuestras decisiones”. 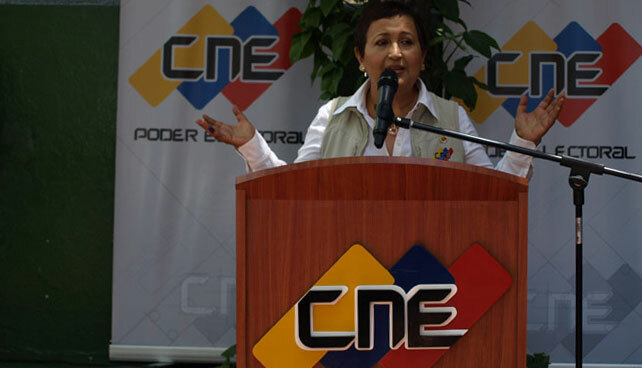 Como se ha encargado de recalcar en los últimos 600 eventos electorales que se han realizado en el país durante los últimos 15 años, la rectora Tibisay Lucena, presidenta del CNE, aseguró que el sistema electoral venezolano es el mejor y más confiable del mundo, solo si estás en el gobierno. “Claro que somos un árbitro transparente; claro que atendemos las denuncias; claro, sí y solo sí estás en el gobierno, pues. ¿Ah, pero no fue el gobierno el que pagó las máquinas, pues? ¿Qué querían ustedes? ¿Que fuera un sistema confiable para los demás? No juegue” afirmó la rectora Lucena, visiblemente preocupada en parecer lo suficientemente preocupada en transmitir imparcialidad y objetividad. Desde la sala de prensa del CNE, Lucena prosiguió: “Antes, cuando a Venezuela la gobernaba los oscuros intereses adecos y copeyanos, el acta mataba el voto; ahora, cuando a Venezuela la gobierna el prístino y candoroso interés del legado de nuestro Comandante Indeleble, Tecnomerenguista y Deletéreo, nadie sabe quien mató al voto, porque es un proceso tan limpio que no deja huella, pues”. Lucena desestimó que los abusos protagonizados por el candidato oficialista durante la campaña puedan afectar el resultado electoral. “En medio de su desquiciada campaña sucia, la oposición nos señaló, diciendo que un técnico del PSUV tenía las claves de acceso al sistema. ¿Y? ¿Usted acaso no le deja una copia de la llave de su casa a algún familiar, porsia? Bueno, el PSUV es como nuestro familiar. Por otro lado se critica que no hicimos nada ante el uso desmedido de los medios del sistema público, ¿qué quieren que hagamos? 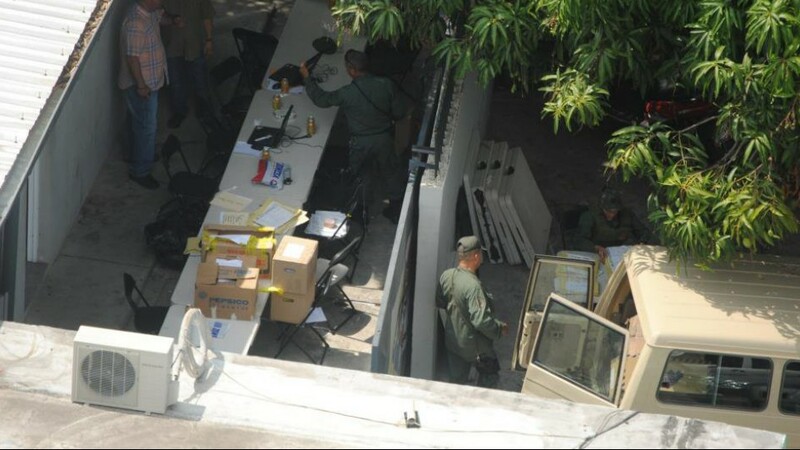 ¿que los obliguemos a transmitir a Capriles? Si ese señor sale todo el día en Globovisión, que se ve en Caracas y Maracaibo, con eso tiene, ¿no?” afirmó Lucena, segundos antes de mandar a uno de los bedeles del CNE a pulir la baranda que estaremos viendo esta noche por horas. Juan Aranda, head of campaign in the Tachira State of the current presidential candidate, Henrique Capriles, was killed on tuesday morning, after been kidnapped by two individuals who were impersonating police officers. 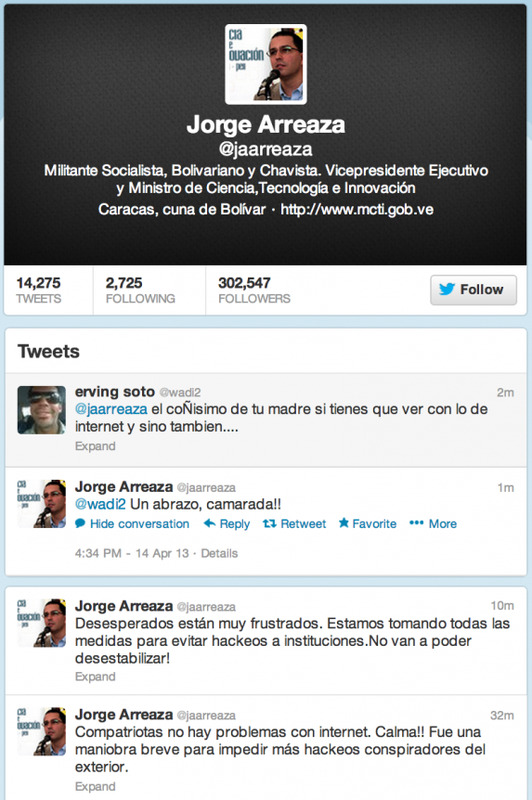 This is a warning to Capriles: if you disavow or challenge the result of the April 14th election, you’re dead. As I said yesterday, the election is rigged. 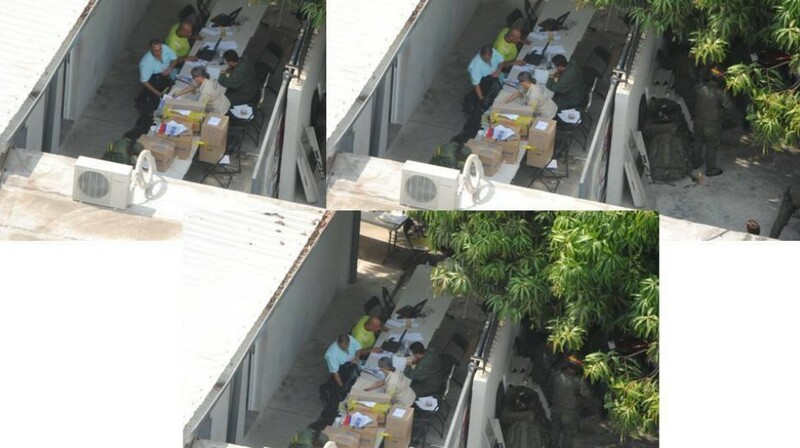 Capriles, who is no fool, is campaigning, knowing this. His only tactic, after the results are in, would be to challenge the results. After publicly boasting that she voted twice for President Obama in November, a left-wing Ohio activist associated with a George Soros-funded group claims she did nothing wrong by double-voting. “There’s absolutely no intent on my part to commit voter fraud,” said Melowese Richardson, a longtime Cincinnati poll worker and Democratic activist whose unlawfully cast ballot canceled out a lawful ballot and thereby deprived another citizen of his or her right to vote. Voter fraud, also known as vote fraud, election fraud, and electoral fraud, refers to the specific offenses of fraudulent voting, impersonation, perjury, voter registration fraud, forgery, counterfeiting, bribery, destroying already cast ballots, and a multitude of crimes related to the electoral process. Having already incriminated herself in front of a TV news camera, Richardson said she’ll contest criminal voter fraud charges. “I’ll fight it for Mr. Obama and for Mr. Obama’s right to sit as president of the United States,” she said nonsensically. Hamilton County, Ohio, records reportedly indicate that Richardson voted by absentee ballot on Nov. 1. Ten days later she told an official she also voted at a polling place out of fear that her absentee ballot would not count. County records also accuse Richardson, who has registered thousands of people to vote, of being disruptive and hiding “things from other poll workers on Election Day after another female worker reported she was intimidated by Richardson.” An investigation revealed that the perpetrator’s granddaughter, India Richardson, also voted twice in November. All of this is fine with the activists of the Left who only care about observing laws and technicalities when they advance their cause. Left-wing activists and think tanks such as the Brennan Center for Justice constantly churn out studies and reports financed by George Soros, purporting to prove that voter fraud is as unreal as the Loch Ness Monster. They claim that those on the Right want to crack down on voter fraud solely as a means of preventing the poor and minorities from voting. Voter fraud is a figment of your paranoid conservative imagination, according to pseudo-journalist Brentin Mock of Colorlines, a racial-grievance website run by the radical Applied Research Center. “Voter fraud as a thing has been exposed by civil rights watchdogs and a wide range of journalists as pure conspiracy theory,” Mock writes. Some Americans believe they are entitled to vote more than once in order to exact revenge against a society they feel did them or their ancestors wrong. Some left-wingers say that election fraud is justifiable because in a sense it compensates the poor for having little political power. Richardson is far from alone. Double-voting is distressingly common. For example, in September Wendy Rosen dropped out as the Democratic candidate in the first congressional district in Maryland after it was revealed she double-voted in two elections. State Democratic officials admitted Rosen voted in both Florida and Maryland in the 2006 general election and in the primaries in 2008. In 2011 a Tunica County, Miss., jury convicted local NAACP official Lessadolla Sowers on 10 counts of fraudulently casting absentee ballots. Sowers was sentenced to a five-year prison term. Voter fraud, which left-wing activist groups encourage, has long been a problem in the U.S. It was rampant in the 2012 election. It’s not hard to see why. According to one report, about 24 million voter registrations across the nation are no longer valid or are significantly inaccurate, more than 1.8 million dead people are registered as voters, and 2.75 million Americans are registered to vote in more than one state. Richardson is also active in an ACORN-like Cincinnati-based activist group called Communities United for Action. Communities United for Action is part of a larger Saul Alinsky-inspired organizing network called National People’s Action (NPA). NPA makes no bones about its desire to overthrow what remains of America’s free enterprise system. Activists from the NPA network tried to silence presidential candidate Mitt Romney and his running mate Paul Ryan in the past election cycle, aggressively heckling the two during speeches. Left-wing activists call this “accountability,” an Orwellian euphemism. Accountability, as they use the term, is not about transparency or good government. Following the lead of the so-called father of the New Left, Herbert Marcuse, who favored silencing non-leftists, accountability actions focus on harassing and intimidating political enemies, disrupting them and forcing them to waste their resources dealing with activists’ provocations. The preeminent funder of the Left, George Soros, underwrites NPA’s agitation through one of his philanthropies, the Foundation to Promote Open Society ($300,000 since 2010). So does the Woods Fund of Chicago ($50,000 since 2009) on whose board Barack Obama and Weather Underground terrorist Bill Ayers served. Other institutional funders of NPA include the Arca Foundation ($421,240 since 2010), W.K. Kellogg Foundation ($150,000 since 2011), and Barbra Streisand Foundation ($10,000 since 2010). Meanwhile, the Left is gearing up for a fight in Congress over voter registration and voting. Activists want the rules governing elections to be even more lax, thus making fraud easier. Obama said the body will be led by “two longtime experts in the field” who served as top attorneys for Mitt Romney’s campaign and his own campaign. The Republican lawyer is Ben Ginsberg; the Democrat, Bob Bauer. Bauer is the bottom-feeding barrister who asked the Department of Justice in 2008 to prosecute Obama critics and fine television stations for daring to carry an ad about Obama’s close personal friendship with Bill Ayers. Bauer, Obama’s former White House Counsel, is married to Anita Dunn, the Mao-quoting former communications director in the Obama White House. Bauer has been instrumental in whitewashing Obama’s radical roots by filing lawsuits keeping a bewildering array of the president’s personal papers hidden away. With Bauer serving on the new commission, at least cartoon characters and the dead will be well-represented. So long lines at your polling place, that’s just not fair to Democrats. That is making it harder for Democrats to get votes. Those long lines cost the Democrats hundreds of thousands of votes. Why, if there hadn’t been long lines, why, the Democrats mighta won this by an additional two percentage points. Oh, yeah, the long lines, they’re all Democrat voters. There aren’t any Republicans in there. The people really, really desirous to vote, the people that show up and wait in line a long time, obviously they’re voting for Democrats. Nobody would do that to vote for a Republican. If there were long lines for Republicans to vote, the New York Times would have a story on how we can make the lines longer. Now, this article is motivated by three things. First — and this is the key — and, remember, it’s the New York Times, so there’s always an agenda behind this stuff. This is not news. The biggest thing anybody could learn is that stories in the New York Times today are not news. They are related to the achievement of the next phase of the Obama agenda. Every story for the most part, particularly domestic political stories, are nothing more than telltale indicators of what it is Obama wants next. In other words, here we are on February 5th and we get a story in the New York Times about long lines at the polling place. Why don’t we get this story two days after the election? If long lines at polling places was a problem, why now? Why February 5th? There isn’t an election any time soon. Nada tiene de sustancial que en estas elecciones no se haya convocado al voto unido, si cualquier voto válido conduce al mismo resultado. 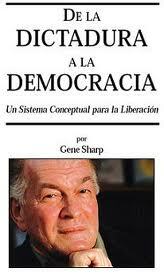 [Nota: el autor hace referencia al articulo de Haroldo Dilla Alfonso, Elecciones en Cuba: ¿dónde se esconde el diablo?-lg]. Siempre es bueno saber de qué se está hablando. Si lo nuevo en estas elecciones estriba en que no ha habido convocatoria por el voto unido, nada tiene de interesante o significativo, porque como quiera que se vote válidamente en Cuba saldrán electos los mismos candidatos. Para dejarlo bien claro: el candidato será elegido incluso si sólo él o ella votara por sí mismo y los demás electores de su distrito anularan o dejaran en blanco sus boletas. La Ley Electoral (1992) considera elegidos a quienes reciben «más de la mitad del número de votos válidos» (Artículo 124). No son válidos los votos en blanco ni aquellos en que no puede determinarse la voluntad del elector (Artículo 114), esto es: tampoco cuenta la voluntad antigubernamental manifiesta de garabatear la boleta o adornarla con algún improperio gráfico o textual. Un solo voto válido decide la elección por mayoría absoluta en cualquier distrito. Así como no votar por ninguno, votar por algunos o un solo candidato es irrelevante. La elección viene predeterminada por la lista única de candidatos. No tiene sentido plantear que “si hipotéticamente resultaban no elegidos el 50 % más uno de los diputados, no había manera legal de reconstituir el Estado”. Ese problema hipotético tiene fácil solución legal. La segunda vuelta no es obligatoria en el caso de diputados a la Asamblea Nacional y el Consejo de Estado puede a discreción encargar la elección a la asamblea municipal correspondiente y aun dejar vacante la diputación (Artículo 125). No es cierto que “los ciudadanos han sido llamados a votar y a optar por todos, por algunos o por ninguno”. La exhortación publicada en Granma reza: “voto por uno, por varios o por todos los candidatos”. Votar por ningún candidato presupone anular la boleta o dejarla en blanco, es decir: dar un voto sin validez. La convocatoria oficial, como manda la lógica del poder, llamó a emitir un voto válido: por todos, por algunos o por uno de los candidatos predeterminados. Y estas opciones serán como la ley manda, pero jamás como manda la lógica electoral. No hay opción real cuando los votos válidos se dan con respecto a una lista única de candidatos predefinidos por triple filtro: la Comisión de Candidatura Nacional escoge (Artículo 87), los candidatos pasan a las comisiones municipales y las asambleas municipales terminan por nominarlos en votación “a mano alzada” (Artículo 96). Por diseño legal, solo estos candidatos pueden ser elegidos. Así resulta que percibir algo interesante en la precitada convocatoria oficial esconde al diablo antes que develarlo. El quid radica en que votar por cualquier candidato es votar por el régimen y la oposición sólo puede manifestarse por abstención de votar o invalidación del voto. La memoria falla si el candidato peor votado de la historia se remite a 1993 y con el 82 % de los votos. En las elecciones generales de 2008, el primer secretario del único partido en Santiago de Cuba, Misael Enamorado, consiguió nada más que 74.7 %. En cualquier precinto electoral de Occidente hubiera sido landslide, pero Lázaro Expósito vino de apagafuegos como primer secretario del Partido en Santiago y Enamorado no apareció en la lista de candidatos 2013. Donde sí no puede fallar la memoria es en que desde 1993 los candidatos a diputado se exponen al voto popular y la gente sigue votando por ellos para consolidar la tiranía de los números. President Mohamed Mursi sees the basic law, drawn up mostly by Islamists, as a vital step in Egypt’s transition to democracy almost two years after the fall of military-backed strongman Hosni Mubarak. The opposition, a loose alliance of liberals, moderate Muslims and Christians, says the document is too Islamist, ignores the rights of minorities and represents a recipe for more trouble in the Arab world’s most populous nation. Critics have also said the vote, conducted over two stages in a process that ended on Saturday, was marred by a litany of irregularities, and have demanded a full inquiry. “The committee is currently compiling results from the first and second phase and votes from Egyptians abroad, and is investigating complaints,” Judge Mahmoud Abu Shousha, a member of the committee, told Reuters. He said no time had been set for an announcement of the final outcome, but it appeared unlikely to be on Monday. A tally by the Muslim Brotherhood, which lifted Mursi into the presidency, indicated a 64 percent “yes” vote, although only a third of the 51 million eligible Egyptians took part. An opposition count was similar, but they said the ballot had been marred by abuses in both rounds. By forcing the pace on the constitution, Mursi risks squandering the opportunity to build consensus for the austerity measures desperately needed to kickstart an ailing economy. Highlighting investor concerns, Standard and Poor’s cut Egypt’s long-term credit rating on Monday and said another cut was possible if political turbulence worsened. The low turnout also prompted some independent newspapers to question how much support the charter really had, with opponents saying Mursi had lost the vote in much of the capital. “The referendum battle has ended, and the war over the constitution’s legitimacy has begun,” the newspaper Al-Shorouk wrote in a headline, while a headline in Al-Masry Al-Youm read: “Constitution of the minority”. If the “yes” vote is confirmed, a parliamentary election will follow in about two months, setting the stage for Islamists and their opponents to renew their battle. Under the new constitution, legislative powers that have been temporarily held by Mursi move to the Islamist-dominated upper house of parliament until a new lower house is elected. The make-up of the Supreme Constitutional Court, which Islamists say is filled with Mubarak-era appointees bent on throwing up legal challenges to Mursi’s rule, will also change as its membership is cut to 11 from 18. Those expected to leave include Tahani al-Gebali, who has described Mursi as an “illegitimate president”. The head of the Muslim Brotherhood’s Freedom and Justice Party, Saad al-Katatni, wrote on Facebook that the group’s members were “extending our hands to all political parties and all national forces”, adding: “We will all start a new page”. But the opposition National Salvation Front says the new basic law deepens a rift between the liberals and Islamists who combined to overthrow Mubarak, and will extend the turbulence that has taken a heavy toll on society and economy. The opposition said they would continue to challenge the charter through protests and other democratic means. 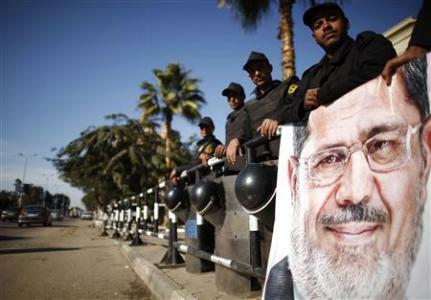 The run-up to the referendum was marred by protests, originally sparked when Mursi awarded himself broad powers on November 22. At least eight people were killed when rivals clashed in protests outside Mursi’s official palace in Cairo. Violence also flared in the second city, Alexandria. El subsiguiente ensayo no es un texto sobre Derecho Constitucional de la Republica de Cuba, aunque sus fuentes de información primarias remitan a la legislación cubana vigente sobre el tema. El autor no es un especialista en esta materia ni pretende serlo. Su objetivo es contribuir en la medida de sus posibilidades a desentrañar los objetivos, mecanismos y procedimientos a través de los cuales el régimen cubano ha diseñado y aplica concienzudamente un sistema electoral que garantice la perpetuidad del sistema político de control y coerción social del país por parte de una elite. La regulación jurídica de los procesos electorales en sentido estricto, se asocia a un conjunto de principios y normativas generalmente aceptados. Si bien la definición genérica de los elementos de un sistema electoral tales como el derecho al sufragio –activo y pasivo-, el distrito electoral, los sistemas de representación y la formula electoral entre otros; comúnmente encuentran definición constitucional. Un exceso de normativas de este alcance lejos de expedir los procesos los entorpece. Sin dudas la ley electoral es el preceptivo rector y como tal debe disfrutar de una estabilidad resultante del consenso de los diferentes actores políticos en sociedades democráticas. En el caso que nos ocupa, la brutal supresión de alternativas políticas al régimen imperante, determina que la misma sea expresión jurídica exclusiva de la prosapia gobernante. En tal sentido es preciso distinguir a nivel técnico-jurídico dos líneas de desarrollo que requieren tratamientos específicos. Las normas referidas al sistema electoral y a los aspectos esenciales del procedimiento que conforman la medula jurídica y/o política determinados por procesos consensuales de las diferentes fuerzas del escenario político. Por otro lado, aquellas que siendo igualmente reguladas por ley, no requieren de la aquiescencia política y cuyo diseño conceda grados de flexibilidad que permitan su aplicación óptima en las diversas especificidades territoriales. De tal manera que las regulaciones administrativas que complementan y adecuan las normas generales a las concretas circunstancias, deben ser encomendadas a las autoridades locales y no central y rígidamente establecidas como ocurre en el sistema cubano. Espacio singular ocupa la actuación asignada al poder judicial incluso en aquellos diseños electorales donde las autoridades asumen funciones estrictamente de control. Notable y dramático déficit en el sistema cubano, donde el poder judicial es designado y esta subordinado a las ordenanzas del único poder real. En "La Rinconada", la amurallada y fortificada bunker-mansión de Raúl Castro en la senda norte de la Autopista del Mediodía que se extiende desde la calle 222 hasta la 234 en el reparto La Coronela, los resultados de los comicios municipales retumban, como las trompetas que derrumbaron las murallas de Jericó, el rechazo popular a la gestión castrista de 54 anos. Porque en “Punto Uno", donde reside el “master of manipulation”, si se "sabe" lo que cancillerías, agencias de inteligencia y contrainteligencia, expertos, académicos y lideres políticos generalmente de buena fe y por tanto usualmente políticamente correctos y "guileless", desconocen: la realidad. Y es que en Realpolitik, algo generalmente pedestre para el primoroso paladar de ciertas refinadas intelligentsias que solo tienen un acercamiento conceptual y no concreto; una elección constituye el momento culminante en el cual los ciudadanos expresan mediante el voto, sus preferencias por las visiones y proyectos políticos de candidatos alternativos para que formen gobierno y/o actúen como sus representantes en el mismo. Entendible la democracia ante todo, como el derecho de los ciudadanos de “to make a choice”, la misma esta castristamente castrada en Cuba como tendremos ocasión de examinar con cierto detalle, a partir de fuentes originales del gobierno y el estado cubano. Pero el conocimiento de la “realidad” es la percepción que cada observador tiene sobre ella, por consiguiente son múltiples como demuestra la Logica Difusa [Fuzzy Logic]. Pero esa “realidad neocastrista” y no la inmediata perceptible en una nota de la Comisión Electoral Nacional publicada en el Granma, es ante todo holográfica. Y ello ocurre porque mientras la borrosidad de la realidad es intrínseca, la difusividad determina la ambigüedad de los sucesos ocurridos. Luego para observadores cartesianos que miden el grado de posibilidad de un evento por su probabilidad de ocurrencia, la misma es ininteligible y no tienen mas alternativas que permanecer en silencio o repetir por buenos los partes de Punto Uno. Particularmente significativo en una contemporaneidad donde la academia ha sustituido parte de su función creativa por la manufactura troqueladora de masters y doctores pletóricos de indigencia conceptual concreta. Sin embargo la “realidad neocastrista” en general y el proceso electoral que emplea en tanto uno de los componentes del implacable sistema de dominación política y control social, es cognoscible en sucesivas aproximaciones concreto-conceptuales siempre y cuando incorporen su naturaleza difusa. Esta “realidad” que es múltiple mas allá de las percepciones de los diferentes observadores[2,3]; esta expresamente diseñada para ser adulterable y manipulada, lo que contribuye a la crisis de percepción que se observa. Un sistema electoral puede ser definido como el conjunto de principios, normas , reglas y procedimientos técnicos enlazados entre sí, y legalmente establecidos, por medio de los cuales los electores expresan su voluntad política en votos que a su vez se convierten en escaños o poder público [Bueno, R.]. En términos de Teoría del Estado, el sistema electoral es la parte del Derecho Constitucional que aglutina el conjunto de reglas relacionadas con la integración de los órganos de gobierno por procedimientos electivos. De acuerdo con ello, establecería las normas que regulan la ciudadanía, los partidos políticos, las bases del sufragio, la emisión del mismo, los órganos electorales, los recursos contra sus decisiones y al sistema electoral en sentido restringido [Lopresti, R.]. Mientras el carácter restringido del término queda determinado en función de lo establecido en el derecho electoral de cada país, regulando jurídicamente de esa manera las reglas precisas que establecen la forma en la que han de ser asignados y distribuidos los cargos electivos, en cada sistema electivo concreto, ya sea dentro de un régimen de democracia directa o representativa. De esta manera, la elección de un sistema electoral es en el marco institucional una de las decisiones de mayor impacto para cualquier nación y no solo para las democráticas. 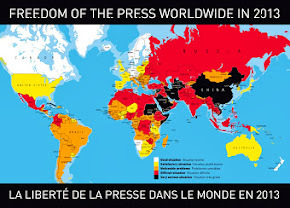 Frecuentemente la preferencia por este o aquel sistema es la resultante de múltiples factores dentro de los cuales destacan la herencia histórica del país, las circunstancias concretas y la componente geopolítica, siendo en pocas ocasiones una construcción deliberada. Comúnmente han sido resultado de la herencia colonial, por imposición externa, por accidente y también por un diseño preconcebido como es el caso que nos ocupa. Particularmente para las democracias emergentes, lo que queda claro es que no siempre el sistema adoptado es el más conveniente para el desarrollo democrático del país. Ya sea por ignorancia o aviesa intención de sus gestores, como tendremos ocasión de examinar en el cubano. En este contexto, el diseño del sistema electoral pasa a ser pieza clave en la visión que la elite política gestora tiene sobre el gobierno y los órganos de representación ciudadana. Dicho de otra manera: Cual es la misión estratégica que ambos deben cumplir? Mediante un proceso de reingeniería estructo-funcional, se determinan los criterios fundamentales, normas, procedimientos, flujos de procesos y puntos críticos y de estrangulamiento entre otros elementos del trazado de la ruta o mapa procesal; que permiten que la misión y la visión deseadas de las elites gestoras se concreten en consonancia con sus intereses. Sin dudas, ello ha sido ejecutado en Cuba de manera malvada y execrablemente brillante y exitosa. También desempeñan un relevante papel en el diseño de un sistema electoral, la determinación del derecho al voto, la confección de los registros de votantes, los requisitos de los candidatos y su proceso de inscripción y la participación de diferentes organizaciones políticas y ONG’s. Asimismo la designación de las autoridades electorales a cada nivel y sus facultades y los instrumentos de control jurídicos correspondientes. · Elecciones generales con periodicidad de cinco anos en las que se elige a los Diputados a la Asamblea Nacional del Poder Popular, su Presidente, Vicepresidente y Secretario al Presidente, Primer Vicepresidente, Vicepresidentes, Secretario y demás miembros del Consejo de Estado a los Delegados a las Asambleas Provinciales y Municipales del poder Popular y a su vez Presidentes y Vicepresidentes. · Elecciones parciales cada dos anos y medio en las que se elige a los Delegados a las Asambleas Municipales del Poder Popular y sus Presidentes y Vicepresidentes. Un lector no adentrado en la problemática cubana acostumbrado a las formulas comunes de las elecciones democráticas, la anterior formulación no despertara suspicacias. Una lectura de la ley electoral cubana permite detectar la presencia de varios filtros de contención y manipulación. Destacan entre ellos los aplicados a la determinación de las listas de candidatos a los puestos electivos en los tres niveles de gobierno. 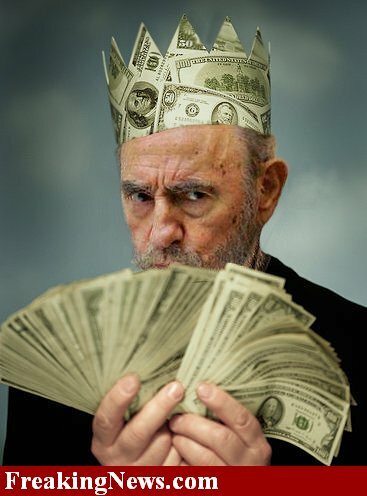 Ya desde aquí lo sencillo oculta la manipulación del proceso en términos de garantizar los resultados deseados por la elite cubana, pues el Articulo 21 de la Ley No. 72 establece que el propio Consejo de Estado designa a la Comisión Electoral Nacional. Sin explicar a la ciudadanía las razones que avalan la designación de sus miembros mas allá del omnipotente y unipolar per se dídimo, un alto oficial en activo del Ministerio del Interior –columna vertebral del control, compulsión y la represión social- lucio sin recatos sus estrellas de teniente coronel fungiendo como secretario de la misma en las recientes elecciones parciales. Asimismo las listas de candidatos no son abiertas, sino que son elaboradas por las denominadas “Comisiones de Candidaturas” designadas expresamente a niveles nacional, provincial y municipal de acuerdo con los artículos 67-77. La Ley faculta a las direcciones nacionales, provinciales y municipales respectivas de algunas de las ONG’s oficialistas [Central de Trabajadores de Cuba, de los Comités de Defensa de la Revolución, de la Federación de Mujeres Cubanas, de la Asociación Nacional de Agricultores Pequeños, de la Federación Estudiantil Universitaria y de la Federación de Estudiantes de la Enseñanza Media] que a su vez actúan como “poleas de transmisión” entre la voluntad de la dirección del país y la población suplantando así a la sociedad civil; la que a solicitud de las Comisiones Electorales correspondientes, designa a sus representantes en las Comisiones de Candidaturas formadas por ellos mismos. 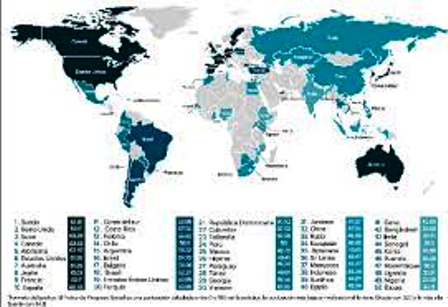 De acuerdo a la práctica mundial, la mayoría de los 75 sistemas electorales que emplean sistemas de representación proporcional elaboran listas de candidatos sin detrimento del ejercicio democrático del proceso. Y es que la manipulación reside no en el “que” sino en el “como” se confeccionan esas listas. Una jutia biranica cierra el círculo aprisionando fuertemente su propia cola con los 7 colmillos del infierno. Pero un círculo no es suficiente, se requieren múltiples, cada uno de ellos aun más riguroso y selectivo. Así la Comisión de Candidatura Nacional “prepara” y presenta de acuerdo con el articulo 73.A “…a las Comisiones de Candidaturas Municipales las propuestas de precandidatos a Diputados a la Asamblea Nacional del Poder Popular”, quedando de esta forma definido quienes son los considerados “elegibles” por el poder central para ser diputados. Luego mediante el 73.B establece “…el proyecto de candidatura para elegir al Presidente, Vicepresidente y Secretario de la Asamblea [Nacional]”, sin contar absolutamente con la opinión ciudadana. Así un Ricardo Alarcón, miembro del Buró Político del Partido Comunista de Cuba, es desde hace 19 anos  presidente de la misma, sin contar con mas apoyo que la designación expresa de los hermanos Castro. Mediante el 73.C la Comisión de Candidaturas designada por el régimen “prepara” y presenta conforme a la referida Ley Electoral, el proyecto de candidatura para elegir al Presidente, Primer Vicepresidente, a los Vicepresidentes, el Secretario y demás miembros del Consejo de Estado. Filtrando a la enésima infinitesimal, el Artículo 74 regula la candidatura única del Presidente del Consejo de Estado que, desde que se constituyo el cargo en 1976 hasta la fecha [con férrea voluntad caudillista de extenderlo al menos hasta el 2020 de no ocurrir un imponderable, pero con fuerte evidencia nepotista de expandirlo mas allá de ese horizonte con la prole sucesora de similar realengo biranico], ha sido desempeñado solamente por dos personas con similares patronímicos y vínculos consanguíneos e incondicionales envidiables por la Cosa Nostra; quienes además de ser jefes de Estado y de Gobierno es han sido a su vez Primer Secretario de un Partido Comunista “…martiano y marxista-leninista, vanguardia organizada de la nación cubana, … fuerza dirigente superior de la sociedad y del Estado, que organiza y orienta los esfuerzos comunes hacia los altos fines de la construcción del socialismo y el avance hacia la sociedad comunista” [Constitución de la República de Cuba-Articulo 5]; en una descomunal concentración de poder omnímodo. La lectura de las atribuciones constitucionales que se auto asigna en la Constitución de la República de Cuba [Articulo 93, este embaucador con pretensiones de vidente faraónico isleño, permite apreciar el inconmensurable poder incompartido y sin cuestionamientos ni escrutinios que disfruta. Fuente y recursos que permiten erigir una dinámica pirámide estructural de castas postrada pero pancista, que profesa una lealtad incondicional en tanto recurso de supervivencia oportunista y que actúa como suporte y extensión operativa del vértice biranico en el ejercicio endémico del monopolio del control político y social de una nación. Y hacen bien en recalcar que todos los procedimientos se hacen “conforme a la Ley”, en tanto un popular proverbio criollo refiere que “el que hizo la ley, hizo la trampa”; al cual en las circunstancias analizadas, me permito modificar por “los tramposos hacen primero las leyes para luego ejecutar el timo continuado”. En suerte de entelequia fractal, en ambas fases del Castrismo [Fidelismo y Neocastrismo], se experimentan típicos comportamientos fractales en sus funciones y estructuras, en tantos los procedimientos se autorreplican en los niveles provinciales y municipales. Cuando nuestro buen lector occidental considera haberse curado del espanto que tamaña confabulación del poder supone, aun le resta conocer que los cargos rectores del país donde se concentra una buena dosis del poder del régimen como los de Presidente, Primer Vicepresidente, Vicepresidentes y Secretario del Consejo de Estado se “eligen” solo por los miembros del propio Consejo de Estado previamente electo en votación interna y cerrada y no por el pleno de la Asamblea Nacional; abriendo con ello un abismo infranqueable entre la voluntad de los ciudadanos y la suprema autoridad de poder. Duro y simple escamoteo en tiempos de prestidigitación totalitaria. c) en el caso de los precandidatos a Diputados, además, los ciudadanos en el pleno goce de sus derechos electorales, que sean propuestos por la Comisión de Candidaturas Nacional”. Asimismo, el articulo 87 precisa que “El número de Delegados a las Asambleas Municipales del Poder Popular que sean seleccionados como precandidatos a Delegados a las Asambleas Provinciales y a Diputados a la Asamblea Nacional del Poder Popular no debe exceder de un cincuenta (50) porciento del total de los precandidatos propuestos para dichos cargos en cada municipio”. Es decir, el régimen se reserva “by law” que al menos el 50% de los delegados a los poderes provinciales y los diputados de la Asamblea Nacional sean designados a “dedo” por el poder central luego de asegurarse mediante refinados y diversos instrumentos de verificación sociológica, sicológica y de inteligencia, la “confiabilidad política” de los candidatos de la cúpula gobernante. 1. [Articulo 85]/ “Las proposiciones de precandidatos para Delegados a las Asambleas Provinciales y para Diputados a la Asamblea Nacional son elaboradas y presentadas para su consideración, a las Asambleas Municipales del Poder Popular por las Comisiones de Candidaturas…” [sin que intervenga o se consulte a los ciudadanos con derecho al voto –lg-] “…a que hace referencia el TITULO IV de esta Ley. Los candidatos a Delegados a las Asambleas Provinciales y a Diputados a la Asamblea Nacional del Poder Popular pueden ser o no candidatos a miembros o miembros de otras Asambleas. Si lo son y resultan electos, pueden desempeñar simultáneamente esas responsabilidades”. Con lo cual quedan exonerados de la condición previa de ser electos para ser elegibles en tanto representantes de la voluntad popular. Se permite además la participación simultanea de los mismos individuos en los tres niveles de gobierno en cada circunstancia que se considere ventajoso para sus fines. c) en el caso de los precandidatos a Diputados, además, los ciudadanos en el pleno goce de sus derechos electorales, que sean propuestos por la Comisión de Candidaturas Nacional”. [Es decir, el diseño que la ley refrenda impunemente, clausura cualquier resquicio a que una persona considerada “no elegible” en virtud del diagnostico realizado sobre su comportamiento respecto al régimen, puede optar y postularse a desempeñar un cargo publico a nivel provincial o parlamentario]. 3. [Del Articulo 87]/ “Las Comisiones de Candidaturas Provinciales y Nacional, preparan las proposiciones de precandidatos a Delegados y a Diputados a las Asambleas Provinciales y Nacional, respectivamente, teniendo en cuenta las propuestas de las Comisiones de Candidaturas Municipales y las que ellas mismas elaboran”. 4. [Articulo 88]/ “Una vez aprobadas por las Comisiones de Candidaturas Provinciales y Nacional las proposiciones de precandidatos a Delegados y a Diputados a las Asambleas Provinciales y Nacional del Poder Popular, éstas las remiten a las correspondientes Comisiones Electorales Provinciales y Nacional, respectivamente, para que comprueben que los propuestos reúnen los requisitos exigidos por la Ley para ocupar esos cargos. Cumplido este trámite, las Comisiones de Candidaturas Provinciales y Nacional envían las proposiciones a las correspondientes Comisiones de Candidaturas Municipales, para su presentación, oportunamente, a las Asambleas Municipales del Poder Popular respectivas”. Desembrollando el entuerto jurídico: Luego que la comisión central de candidaturas elabora las listas de “elegibles”, ordena el beneplácito de la instancia municipal para que las presente como propias. De esta manera un individuo, junto a su reducido grupo de hampones selectos, se apropia y erige en supremo e incuestionable portador “legitimo” de la voluntad ciudadana y los destinos de una nación. El trinomio Ciudadanía-Nación-Revolución es entonces refrendado y sintetizado en la entelequia del Líder Profeta. Cualquier circunloquio sobre democracia y elecciones, la teoría general de los sistemas electorales, los sistemas de representación pluralidad-mayoría [Australia –voto alternativo-, Francia –“dos vueltas-, etc. 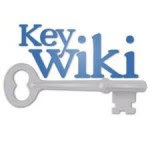 ], o representación proporcional [la mayor parte de las democracias constituidas, America Latina y un tercio de África] o en su variante de representación proporcional personalizada [Alemania, Italia, Nueva Zelandia, Bolivia, Venezuela, Hungría, etc. ]; así como el empleo de distritos uninominales o plurinominales y voto únicos transferibles o no; son sutilezas ajenas a la mollera de un clan, cuyo único objetivo es monopolizar el poder político como garantía ultima del control absoluto sobre todas las variables de la dinámica del feudo biranico. No es una mera coincidencia que lo observado, arroje fuertes evidencias que conducen a la formulación de la hipótesis que el régimen cubano diseño y ejecuta una variante biranica-isleña de los sistemas electorales paralelos empleados en los antiguos estados de la Unión Soviética, muy populares por cierto en las eufemísticamente denominadas nuevas democracias africanas: “Dime con quién andas, decirte he quién eres” [Miguel de Cervantes-El Quijote II 10 y 23]. Los sistemas paralelos se estructuran con listas de representación proporcional en circunscripciones uninominales de mayoría relativa y voto único no transferible [>50% en Cuba], que suelen no compensar la desproporcionalidad de la representación ciudadana, particularmente en los casos en que las dimensiones de los distritos electorales no se calculan técnicamente o cuando deliberadamente favorecen un resultado del agrado de los gestores[13,14], violando groseramente los principios generalmente aceptados para su determinación: representatividad, igualdad de fuerza del voto y reciprocidad. 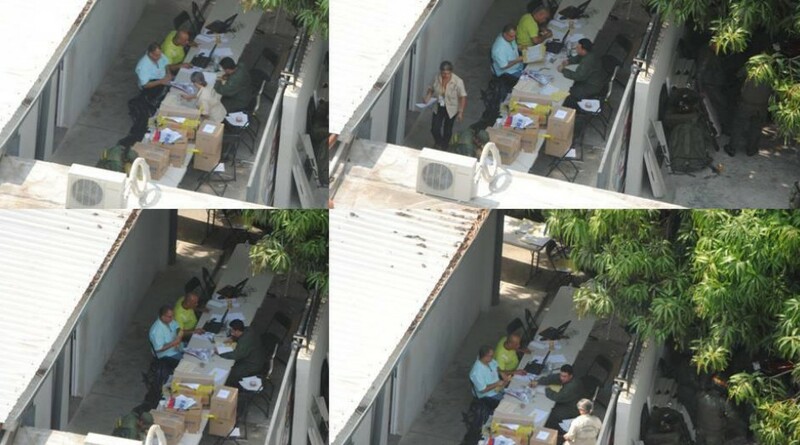 Los distritos electorales en Cuba siguen la estructura de la división político-administrativa del país hasta nivel de municipio, a partir del cual se estructuran en correspondencia con los Consejos Populares [de defensa total integral] que agrupan a varias circunscripciones electorales en cada demarcación; impregnándoles y subsumiendo a los órganos electivos de representación ciudadana en una vertiente castrense a los efectos de contar con plena unidad de mando en la batalla electoral –y en cuantas sea menester- de la “guerra de todo el pueblo”. La persona elegida, pasa así a engrosar el estructurado sistema de “ordeno y mando”; sea un sencillo delegado del asentamiento rural de Remanganagua [Contramaestre, Santiago de Cuba] de apenas 146 habitantes o el Presidente de la propia Asamblea Nacional. Para comprender a cabalidad el modus operandi del sistema de control político y social instaurado en Cuba, es necesario detenerse brevemente en este engendro innecesario y manipulador que es el Consejo Popular. La Ley 91 promulgada el 13 de julio del 2000, establece la creación de los mismos, definiéndolos como un órgano del Poder Popular local investido de “la mas alta autoridad”, cuya función representativa del área donde actúan se limita a ser comisionado de los órganos del Poder Popular Municipal, Provincial y Nacional. Pocos conocidos y menos favorecidos por la propaganda del régimen y el favor de tanto concienzudo analista, los Consejos Populares son facultados para que todas las instituciones, organizaciones, entidades y funcionarios están obligados a acatarlos; estableciendo además, la alta jerarquía de estos órganos respecto a los demás, no solo en la demarcación donde actúan, sino también en las diferentes instancias de dirección en las que establecen relaciones de trabajo, de cooperación y coordinación [Ley No.91 DE LOS CONSEJOS POPULARES]. Ningún órgano ni organismo administrativo, sus entidades y otras instituciones, están facultados para impartir indicaciones, instrucciones o asignar tareas a los Consejos Populares. Y la bribonada reside en que sin constituir los mismos una instancia intermedia a los fines de la división político-administrativa [por lo que no son resultado ni siquiera de unas elecciones predeterminadas como hemos tenido ocasión de examinar; los integran junto a algunos delegados y representantes de organizaciones no gubernamentales oficialistas e instituciones no elegidos en los sufragios que se consideren “relevantes” para los fines propuestos en el seno de la demarcación], sino que son enclaustrados con la mas alta autoridad en el seno de la comunidad como organismo regulador y controlador omnipotente de la elite gobernante en el perímetro de la demarcación. “No queremos una instancia administrativa, queremos allí una autoridad política y popular, una autoridad política y no una instancia administrativa; pero que aquella autoridad sepa lo que pasa en la peluquería, en la bodega, ~ todas partes, en todos los servicios, todo lo que ocurre allí” [Negritas y cursivas –lg]. En ello reside, más que en el número de militares en activos o retirados ocupando cargos públicos, la impronta castrense del sistema electoral cubano. 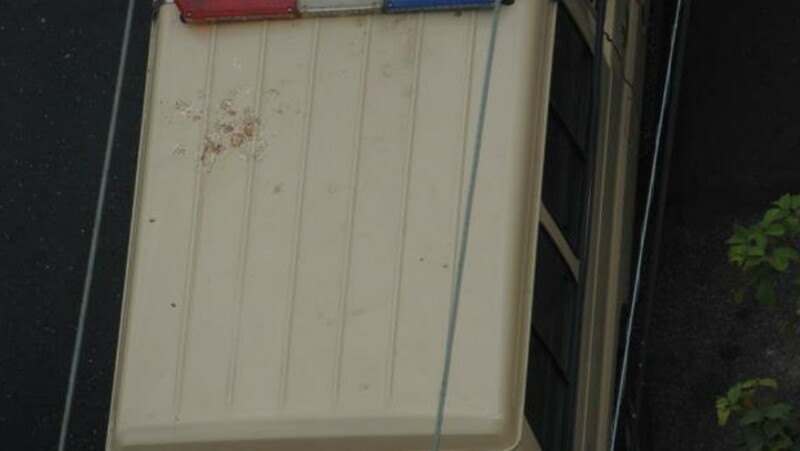 Que un general de cuatro estrellas, un coronel retirado de la contrainteligencia, o un burócrata encumbrado en sus contadas horas de gloria; nacidos en Palma Soriano, Placetas o Cocosolo y viviendo en una mansión de Siboney, el Nuevo Vedado o Miramar por 53 anos; sea postulado –y elegido- diputado por el terruño que lo vio nacer o por cualquier otro, es algo que carece de la menor importancia. Si tiene que estar donde se considere que tiene que estar, estará. Que para eso hicimos la ley, se reflexiona y ordena desde Punto Cero antes y Punto Uno ahora. Entonces detenerse a examinar la divisa favorita de la maquinaria de propaganda que “El Partido no propone, no postula ni promueve candidatos, es el propio pueblo, los electores los que tienen esa facultad la que ejercen en asambleas públicas en acto libre y soberano”, es un ejercicio para octogenarios eruditos miopes. Por otra parte, la “total transparencia en los comicios” de la que se vanagloria el régimen, esta definitivamente sesgada por la premeditada concepción inicial que construye un sistema de listas donde el 100% de los candidatos son previamente evaluados por los parámetros de confiabilidad política, mientras no menos de la mitad de ellos son expresa y centralmente designados. En ocasiones se producen mínimas y aisladas fracturas del rígido sistema de listas como las ocurridas recientemente. Tal es el caso de una persona en un remoto batey azucarero quien sufriera prisión y el brutal ostracismo oficial de un régimen por décadas [y de una sociedad intolerante estimulada a ello] solo por su orientación sexual; en un momento oportunisticamente correcto, es elegido miembro de una asamblea municipal solo en segunda vuelta por apenas unos 100 votos; y cuando una abnegada delegada que por anos hizo de una pequeña escuela rural para su diminuta comunidad su razón de ser, fue reeligida a pesar del contacto con un medio de prensa “enemigo”. En este contexto, es asumible el principio general refrendado que los candidatos no pueden hacer promoción a su favor ni se toleran “campañas electorales discriminatorias, millonarias, ofensivas, difamatorias y denigrantes”. Nada de eso, no es necesario. Con la única y nuestra, basta. Luego un estudioso del derecho constitucional, acotara que la variante kubiche del sistema paralelo soviético, esta fuertemente permeado por los sistemas semi-proporcionales. La consigna propagandista enarbolada en Cuba de cara al mundo que “Todos los ciudadanos con capacidad legal para ello, tienen derecho a intervenir en la dirección del Estado, bien directamente o por intermedio de sus representantes”; es sutil y eficientemente contrarrestada con los filtros que imponen los Artículos 7.b, 7.c y 7.ch de la Ley Electoral; considerando que la valoración del estado socialmente peligroso del individuo queda definido en el Título XI, Capítulo I del Código Penal cubano en su artículo 72 como: "Se considera estado peligroso la especial proclividad en que se halla una persona para cometer delitos, demostrada por la conducta que observa en contradicción manifiesta con las normas de la moral socialista". Es decir, “cualquiera” por “cualquier razón” y en “cualquier momento” que se considere oportuno, puede ser “legalmente” despojado de sus derechos ciudadanos, de elector y ser elegido. Y es que como bien se entiende en La’bana, la cuestión de “Quién puede votar” es un tema cardinal con el que no se andan con melindres de burguesitos atildados. A pesar que diferentes fuentes ubican a los ciudadanos cubanos residiendo permanentemente en el exterior entre 2.1-2.6 millones [18-24% de la población total en la isla], los mismos no tienen derecho a participar en los sufragios ni como electores ni como candidatos a ocupar cargos electivos. Se puede expresar más alto pero no más claro. Debiera incluirse como una alerta para viajeros y una referencia primaria de lectura de primer orden en el tema Cuba por todos los medios disponibles. No diga luego que no lo sabía. Un aspecto poco abordado de las elecciones cubanas son los distritos [circunscripciones] electorales. En la siguiente tabla se puede apreciar la significativa variación en la cantidad de circunscripciones en las ultimas 4 elecciones realizadas. Considerando que el número de circunscripciones es determinado por ley a razón de no menos de 30 por municipio [para los comicios provinciales y nacionales se emplean otras proporciones]; en un contexto demográfico y político-administrativo estable a excepción de la reciente creación de dos nuevas provincias a partir de una existente, no observamos razones de naturaleza técnica que expliquen tales variaciones en el breve periodo de 2 anos y medio. 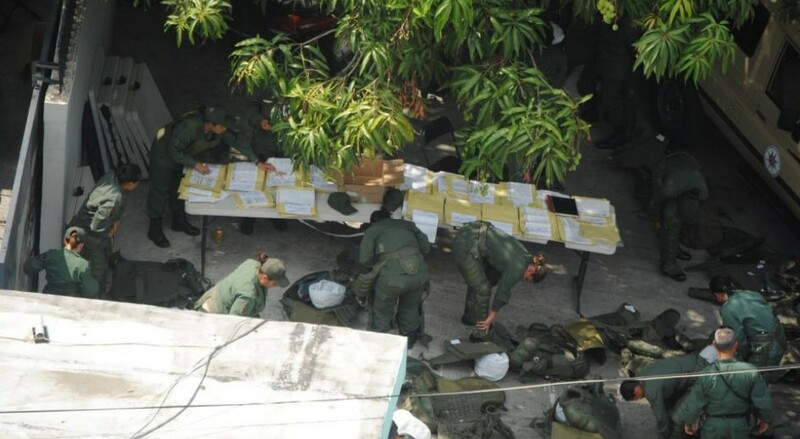 La posibilidad –prevista- de constituir circunscripciones electorales especiales en unidades militares, internados escolares y para personas que deban permanecer por tiempo prolongado en lugares del territorio nacional distintos al de su domicilio, tampoco explica ese comportamiento. El tamaño y los límites de las circunscripciones es un tema concreto de importancia difícil de sobreestimar. Es un hecho establecido que los distritos electorales requieren ser rediseñados a tenor con los cambios demográficos, pero igualmente requieren de cierta estabilidad. En ocasiones ciertos partidos políticos en el poder realizan cambios en los distritos electorales con el deliberado propósito de crear mayorías mediante una distribución de escaños no proporcionales a la población. En el caso cubano, las evidencias indican que las modificaciones no responden a la dinámica demográfica sino a decisiones ad hoc. El escrutinio de votos una vez que se ejecuto el cierre de la votación y que consiste en la apertura de las urnas, la clasificación de las boletas, la determinación de su validez y su computo; debe realizarse a tenor de los procedimientos legislados. Es práctica común atenerse a un conjunto de principios fundamentales tales como: transparencia, seguridad, profesionalismo, exactitud, discreción, puntualidad, responsabilidad, rendición de cuentas y equidad. A pesar que la ley cubana establece que el mismo es público, pudiendo asistir todas las personas que así lo deseen, en muy contadas ocasiones los ciudadanos ejercen ese derecho, en lo que es una clara manifestación del desinterés que generan y de la asunsion tacita de las decisiones del poder. Una significativa insuficiencia del procedimiento cubano esta asociada a la verificación preliminar al escrutinio de la validez de las boletas. El articulo 112 establece “…su cotejo con las entregadas a los electores y con el número de votantes, según la lista de electores,…”; lo que es un control frágil, susceptible a alteraciones. En Cuba como es usual en la mayoría del mundo, se emplea una boleta de tipo categórica –opción directa- con una estructura francesa que lista a los candidatos. Como el partido único “no participa ni postula en los comicios”, sino que actúa como un ente omnipresente regulador y mandón, el proceso del escrutinio no requiere inmiscuirse en las rebuscadas complejidades de las elecciones democráticas contemporáneas en las que participan diferentes partidos políticos y candidatos independientes. Es común que las autoridades electorales en el mundo vayan ofreciendo partes parciales del desenvolvimiento del proceso. En Cuba el articulo 101 de la Ley electoral establece que “Las horas hábiles para la votación están comprendidas entre las siete (7) de la mañana y la seis (6) de la tarde, en que se da por terminada ésta, aunque no hayan concurrido todos los electores”. 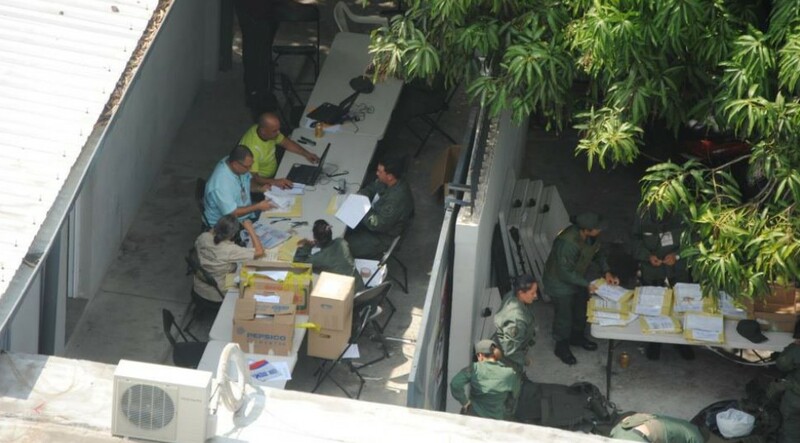 Sin ánimo especulativo, no deja de llamar la atención que solo se ofrezca solamente una y siempre referida al corte parcial de las 5 pm - una hora apenas del cierre de la votación-. Los resultados finales nunca están disponibles en las próximas 24 horas y en ocasiones toman hasta varias semanas en hacerse públicos. Ante la ocurrencia de cargos vacantes, los procedimientos para cubrirlos reafirman el carácter cerrado, exclusivo y monopolista del consorcio castrista; al no someterlos a consulta ciudadana como correspondería a un proceso que se vanagloria de desplegar una autentica democracia popular, lo que es por demás, practica habitual en cualquier nación democrática. 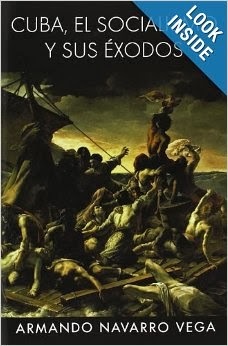 “ARTICULO 171. 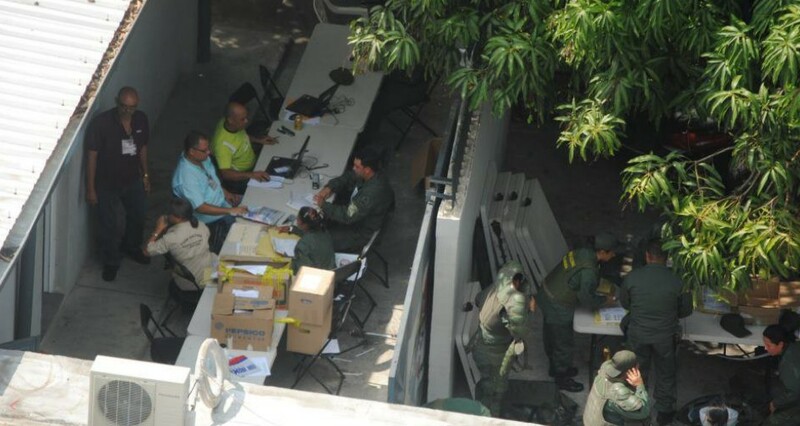 La Comisión Electoral Nacional establece los principios y normas de carácter ético que regirán los procesos electorales, considerando que éstos tienen como objetivo garantizar la participación institucional de las masas populares con derecho al voto en la dirección del Estado cubano y en la toma de decisiones de aquellas cuestiones de mayor interés y utilidad económica, social y política del país, los que son ajenos, por principio, a toda forma de oportunismo, demagogia y politiquería. En consecuencia: Todo elector sólo tomará en cuenta, para determinar a favor de qué candidato depositará su voto, sus condiciones personales, su prestigio, y su capacidad para servir al pueblo [de la manera “establecida”-lg]. Donde las naturales y legitimas inquietudes del ciudadano común de cómo su representante en los órganos del estado y el gobierno gestionara sus intereses, son relegados a prejuicios propios de democracias burguesas incompatibles a la moral –dícese que socialista- del clan. - altere los resultados de la votación”. El deber de los diputados resultantes de este sui generis proceso electoral, se expresa tácitamente en el Articulo 11 del Reglamento de la Asamblea Nacional del Poder Popular: “… deben mantenerse en contacto con sus electores y oír sus planteamientos,…”. Para el Diccionario de la Real Academia de la Lengua Española] la primera acepción del vocablo “oír” es “Percibir con el oído los sonidos”; lo cual se corresponde exactamente con lo que ocurre en las contadas excepciones en que un diputado “oye”, que nunca escucha [‘Prestar atención a lo que se oye’, igualmente de acuerdo con la que limpia, fija y da esplendor] a los ciudadanos que representa. Y es que como se expresa en el referido acápite, el verdadero rol de los diputados además de proporcionar un quórum unánime al poder reside en “… explicarles la política del Estado” a los electores. Otros “deberes” entre los cuales resalta el de monigote: “…cualquier otro que les impongan la Constitución de la República, las leyes y los reglamentos”; permiten visualizar los implacables cerrojos medievales que limitan el accionar de los escogidos del poder. · y, si de algún modo faltare a este juramento, que los que me eligieron me lo demanden". "Compañeros Delegados, ¿ratifica cada uno de ustedes, pública y solemnemente este juramento?" 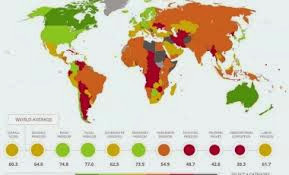 8] Otros países que emplean listas cerradas son: Albania, Angola, Argentina, Andorra, España, Guatemala, Hong Kong, Israel, Italia, Pakistán, Filipinas, Portugal, Rusia, Serbia, Sudáfrica, Sri Lanka, Turquía, Reino Unido excepto Irlanda del Norte y Ucrania. ARTICULO 67. Para elaborar y presentar los proyectos de candidaturas de Delegados a las Asambleas Provinciales y de Diputados a la Asamblea Nacional del Poder Popular, y para cubrir los cargos que eligen éstas y las Asambleas Municipales del Poder Popular se crean las Comisiones de Candidaturas Nacional, Provinciales y Municipales. ARTICULO 68. Las Comisiones de Candidaturas se integran por representantes de la Central de Trabajadores de Cuba, de los Comités de Defensa de la Revolución, de la Federación de Mujeres Cubanas, de la Asociación Nacional de Agricultores Pequeños, de la Federación Estudiantil Universitaria y de la Federación de Estudiantes de la Enseñanza Media, designados por las direcciones nacionales, provinciales y municipales respectivas, a solicitud de las Comisiones Electorales Nacional, Provinciales y Municipales. En el caso de que una de las organizaciones de masas carezca de representación en algún municipio se designará un representante por la dirección provincial correspondiente. ARTICULO 69. 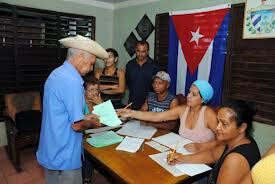 Las Comisiones de Candidaturas son presididas por un representante de la Central de Trabajadores de Cuba. ARTICULO 70. Para ser miembro de una Comisión de Candidaturas se requiere estar en el pleno goce de sus derechos electorales, según lo establecido en esta Ley. Si un miembro de una Comisión de Candidaturas es propuesto como precandidato, deberá ser sustituido de inmediato por la organización de masas a la que representa. ARTICULO 71. Las Comisiones de Candidaturas cesan en sus funciones una vez cumplidos los objetivos para los cuales fueron creadas. ARTICULO 72. Los miembros de la Comisión de Candidaturas Nacional, en la fecha fijada por la Comisión Electoral Nacional, toman posesión de sus cargos ante ésta. ARTICULO 74. Las Comisiones de Candidaturas Provinciales se constituyen y sus miembros toman posesión de sus cargos ante las Comisiones Electorales Provinciales correspondientes en las fechas fijadas por éstas. c) preparar y presentar a la consideración de los Delegados a las Asambleas Provinciales del Poder Popular los proyectos de candidaturas para elegir al Presidente y Vicepresidente de dichas Asambleas. ARTICULO 76. 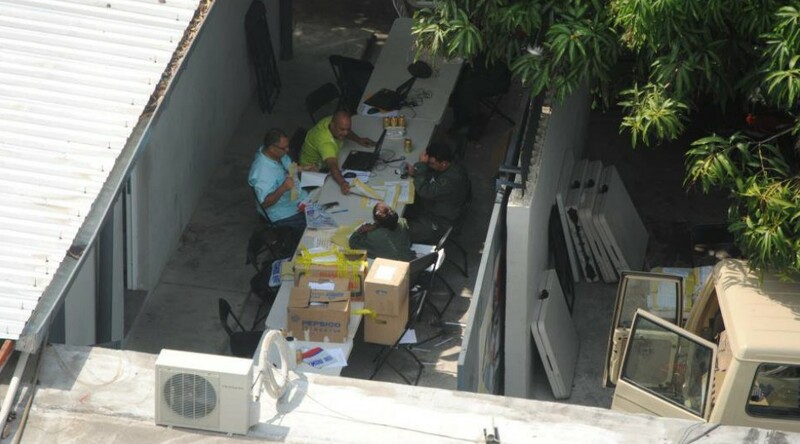 Las Comisiones de Candidaturas Municipales se constituyen y sus miembros toman posesión de sus cargos ante las Comisiones Electorales Municipales correspondientes en las fechas fijadas por éstas. c) preparar y presentar a la consideración de los Delegados a las Asambleas Municipales del Poder Popular, los proyectos de candidaturas para elegir a sus Presidentes y Vicepresidentes. k) las demás que por esta Constitución o las leyes se le atribuyan. NAVIA, Patricio; ROJAS, Priscilla. Representación y tamaño de los distritos electorales en Chile, 1988-2002. Rev. cienc. polít. (Santiago), Santiago, v. 25, n. 2, 2005 . Disponible en . accedido en 21 nov. 2012. doi: 10.4067/S0718-090X2005000200004. · (...) hemos desarrollado el concepto del Presidente del Consejo Popular de una manera amplísima. Hemos creado el principio de una verdadera autoridad allí en la zona. · Esto implicó ciertos cambios de conceptos sobre las facultades que tenía que tener ese poder que se creaba allá abajo, absolutamente democrático (...) y se cambiaron conceptos y se les dieron facultades amplias, incluso en relación con instancias nacionales, porque si bien no tenían que ver con todos los problemas de aquella fábrica, que podía ser una fábrica de cigarros, sí podían tener que ver con muchas cosas malas que estaban ocurriendo en aquella fábrica de cigarros; o en un hospital grande. No pasaba a su subordinación el hospital, pero ellos tenían que ver con el funcionamiento del hospital, con el comportamiento del hospital y con todo lo que ocurriera negativo y perjudicial allí. · No queremos una instancia administrativa, queremos allí una autoridad política y popular, una autoridad política y no una instancia administrativa; pero que aquella autoridad sepa lo que pasa en la peluquería, en la bodega, ~ todas partes, en todos los servicios, todo lo que ocurre allí. · Creo que realmente el Consejo Popular se convierte en el eslabón esencial -yo diría que era el eslabón perdido- de la dirección estatal socialista. · Naturalmente que una cosa son las ideas originales y otra cosa es el desarrollo de las ideas al contacto con las realidades. Ya los Consejos son hoy más que lo que habíamos concebido, tenemos que evitar que se distorsionen, que se deformen; tenemos que procurar que cumplan las ideas para las cuales se concibieron, ideas que a su vez se han desarrollado. · Decía que necesitábamos a alguien que pudiera poner fin al desorden, puesto que las empresas no podían controlar sus unidades allá abajo, ni los servicios" u. "(u.) No veo ninguna otra forma de controlar esa multitud de instalaciones que el Estado tiene en sus distintas formas ­el Estado central, o las provincias, los municipios- no veo ninguna otra forma. · Nosotros nos preguntábamos: ¿Quiénes por aquí pueden ser los mejores fiscalizadores? Los Delegados de circunscripción, los Consejos Populares. · Los Delegados de circunscripción que eran piezas sueltas e impotentes, se han convertido en baluarte allí ahora, son algo y tienen poder en su área, en virtud de la existencia de los Consejos Populares. · Los Consejos Populares, piedra angular de la participación de la comunidad en la solución de sus problemas. 1. Trabajan activamente por la eficiencia en el desarrollo de las actividades de producción y de servicios. 2. Trabajan activamente por la satisfacción de las necesidades asistenciales, económicas, educacionales, culturales y sociales de la población. 3. Promueven la mayor participación de la población y las iniciativas locales para la solución de sus problemas. 4. Coordinan las acciones de las entidades existentes en su área de acción. 5. Promueven la cooperación entre las entidades existentes en su área de acción. 6. Controlan y fiscalizan las actividades de las entidades existentes en su área de acción. 7. Contribuyen con sus acciones a que la Asamblea Municipal del Poder Popular tenga conocimiento de las actividades económicas, productivas y de servicios a cargo de las entidades que actúan en su territorio. 8. Cumplen y exigen el cumplimiento de la Constitución y demás leyes del país, la política que trazan los órganos superiores del Estado y los mandatos que expresamente les otorguen éstos, en el marco de su competencia. 9. Contribuyen a fortalecer la cohesión entre los delegados que integran el Consejo Popular. 10. Respaldan el trabajo de los delegados que integran el Consejo Popular. 11. Brindan apoyo a los delegados que integran el Consejo Popular. 12. 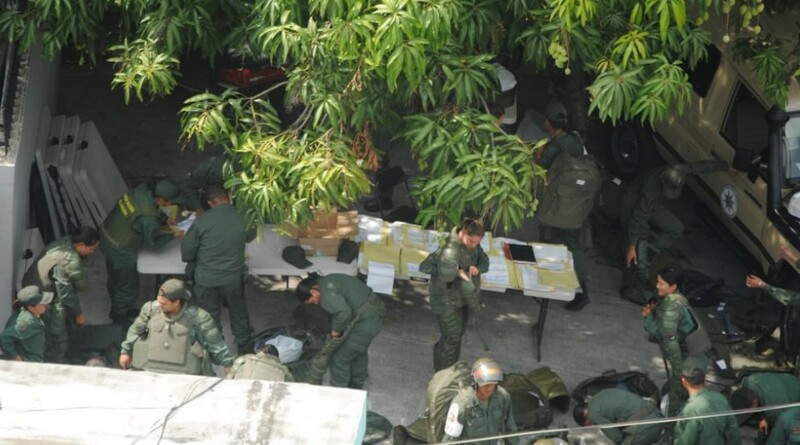 Coadyuvan al mayor desarrollo de las tareas de la defensa en su demarcación. 13. Contribuyen al fortalecimiento de la legalidad socialista y del orden interior, para lo que realizan los análisis que sean necesarios y encauzan las soluciones que correspondan. 14. Apoyan el trabajo de prevención y atención social. 15. Estimulan a vecinos, trabajadores, estudiantes, combatientes, instituciones y entidades que se hayan destacado en el cumplimiento de sus deberes, en el aporte a la solución de los problemas de la comunidad, o por haber alcanzado otros méritos. 16. Adoptan decisiones en lo que les compete. 17. Solicitan a las autoridades u organismos competentes por conducto del Presidente de la Asamblea Municipal, la realización de inspecciones o auditorias a las unidades o centros radicados en su demarcación, cuando advierten situaciones que así lo aconsejen. 18. Instan a que se actúe, por quien corresponda, contra la corrupción y otras manifestaciones delictivas, ilegalidades y demás conductas e indisciplinas de carácter antisocial. 19. Conocen y dan su opinión si las tienen y, en su caso, promueven ante la instancia competente, la designación o sustitución de administradores de unidades económicas, de servicios y sociales enclavadas en su demarcación y procuran que, en lo posible, los que se designen sean residentes en ellas. 20. Organizan la celebración, cuando sea necesario, de reuniones o despachos con funcionarios de las entidades de la demarcación, para conocer, chequear y coordinar actividades. 21. Solicitan, cuando se requiera, al Presidente de la Asamblea Municipal, convocar a dirigentes y funcionarios para analizar el desarrollo de sus actividades en la demarcación, tratar la atención de los asuntos que no han tenido solución e informarse de algún tema especifico. 22. Informan al Presidente de la Asamblea Municipal sobre el desenvolvimiento de las actividades, los problemas y las dificultades que se presentan y que, por su importancia deba conocer. Cuando es posible proponen la solución o recaban su apoyo para resolverlos, según corresponda. 23. Organizan, en cuanto les concierne, con los delegados de sus circunscripciones, el proceso de rendición de cuenta a los electores, en coordinación con las organizaciones políticas y de masas. 24. Forman parte, en correspondencia con lo establecido, del Consejo de Defensa de la Zona. 25. Informan a la Asamblea Municipal sobre el desarrollo del cumplimiento de sus funciones o de otros aspectos, específicos de su trabajo, cuando ésta o su Presidente se lo solicite expresamente. 26. Contribuyen a la realización de las tareas que desarrollan las organizaciones de masas. 27. Promueven la participación masiva de los residentes de la demarcación en la búsqueda de la unidad, el consenso, la identidad y el sentido de pertenencia de los ciudadanos por la comunidad, el territorio y el país. 28. Analizan en sus reuniones los problemas que aquejan a la comunidad y promueven las posibles soluciones, con la activa participación de los delegados, las organizaciones de masas, las instituciones y las entidades del lugar. De considerar que la atención del problema no está dentro de sus posibilidades, lo trasladarán a quien corresponda. 29. Evalúan los resultados que se logran y la atención que reciben los planteamientos que formulan los electores en las reuniones de rendición de cuenta y en los despachos de los delegados. Cuando lo consideran necesario, intervienen con la gestión oportuna, para que sean atendidos por quien corresponda. 30. Conocen u atienden prioritariamente lo relacionado con la distribución de los abastecimientos y el desarrollo de la prestación de los servicios que resultan sensibles a la población. 31. Promueven, con las entidades encargadas de realizar trámites administrativos o prestación de servicios, que éstos se efectúen de la forma más simplificada y cercana posible al lugar de residencia de los interesados. 32. Trabajan activamente porque las entidades existentes en la demarcación ejecuten sus planes de producción o servicios y, en su caso, por el cumplimento de las entregas de productos según lo previsto. 33. Mantienen relaciones de trabajo directas con la Administración Municipal. 34. Trasladan al Consejo de la Administración Municipal los planteamientos que decida el Consejo Popular, que conozcan por sí mismos, o reciban de la población, sobre el funcionamiento de las medidas pertenecientes a las direcciones administrativas, unidades presupuestadas y empresas correspondientes, las que los tramitan y responden en tiempo y forma. 21] Ley Electoral [No.72]/ ARTICULO 12. Los Delegados a las Asambleas Municipales del Poder Popular se eligen a razón de uno por cada circunscripción electoral en que, a tales efectos, se haya dividido el territorio del Municipio, mediante el voto directo de los electores que tienen su domicilio en esa circunscripción. El número de circunscripciones electorales del Municipio se determina para cada elección por la Comisión Electoral Provincial, a propuesta de la Comisión Electoral Municipal respectiva, tomando como base el número de habitantes del Municipio, de manera que el número de Delegados a elegir nunca sea inferior a treinta (30). 22] ARTICULO 13. Los Delegados a las Asambleas Provinciales del Poder Popular se eligen por el voto directo de los electores del Municipio por el cual hayan sido nominados. El número de Delegados a las Asambleas Provinciales debe ser setenta y cinco (75) como mínimo. Delegado por cada diez mil (10 000) habitantes de cada Municipio o fracción mayor de cinco mil (5 000). En las provincias con más de un millón quinientos mil (1 500 000) habitantes se elige un Delegado por cada quince mil (15 000) habitantes de cada Municipio, o fracción mayor de siete mil quinientos (7 500). En las demás provincias con menos de setecientos cincuenta mil (750 000) habitantes la proporción para elegir los Delegados se establece dividiendo el número de habitantes de la provincia entre setenta y cinco (75). El número de Delegados que cada Municipio de esa Provincia puede elegir para integrar la Asamblea Provincial del Poder Popular se determinará dividiendo su número de habitantes entre el cociente obtenido. En los Municipios con menos de quince mil (15 000) habitantes se eligen siempre dos Delegados a la Asamblea Provincial del Poder Popular. ARTICULO 14. La Asamblea Nacional del Poder Popular estará integrada por Diputados elegidos a razón de uno por cada veinte mil (20 000) habitantes de un municipio, o fracción mayor de diez mil (10 000), que es su circunscripción electoral. En el caso que el número de habitantes de un Municipio sea de treinta mil (30 000) o inferior a esa cifra, se eligen siempre dos (2) Diputados. Los Diputados serán elegidos por el voto directo de los electores del Municipio. Sus funciones tienen un carácter nacional, y su actuación está sujeta únicamente a la Constitución y a la ley. ARTICULO 15. No obstante lo establecido en los artículos precedentes, en aquellos municipios cuya población exceda de cien mil (100 000) habitantes podrán crearse Distritos para los fines electorales en su territorio, al efecto de elegir los Delegados a las Asambleas Provinciales y los Diputados a la Asamblea Nacional del Poder Popular, conforme a la proporción de habitantes que para ello establecen los artículos 13 y 14 de esta Ley. Los Distritos electorales que se constituyen deben contar con no menos de cincuenta mil (50 000) habitantes. ARTICULO 112. Terminada la votación, el Presidente de la Mesa del Colegio Electoral abre las urnas y procede, conjuntamente con los demás miembros de ésta, al conteo de las boletas depositadas en ellas, a su cotejo con las entregadas a los electores y con el número de votantes, según la lista de electores, y a separar las boletas votadas de las que fueron depositadas en blanco. Los resultados de esta comprobación se consignan en el acta. ARTICULO 113. El Presidente de la Mesa del Colegio Electoral, una vez separadas las boletas en blanco de las que aparecen votadas, da lectura en alta voz al nombre o número de orden del candidato por el que se ha votado en cada una de las boletas válidas. ARTICULO 114. Al dar lectura al nombre o número de orden de los candidatos se declaran nulas las boletas en las que no pueda determinarse la voluntad del elector. Al dorso de la boleta se hace constar, en nota firmada por el Presidente, el fundamento de la nulidad. La nulidad de una boleta se determina por mayoría de votos de los miembros de la Mesa del Colegio Electoral. ARTICULO 115. Leídas todas las boletas, se realiza el cómputo de la votación obtenida por cada uno de los candidatos, lo que se hace constar en el acta. ARTICULO 116. Concluido el cómputo de la votación y terminada la redacción del acta, previo el acuerdo de todos los miembros de la Mesa del Colegio, el Presidente le da lectura para conocimiento de los presentes, y de no haber objeciones procede a su firma junto con los demás miembros de la Mesa del Colegio. Seguidamente, entregan a la Comisión Electoral de Circunscripción la urna, el original y las copias del acta, así como, en paquetes separados y debidamente sellados y rotulados, las boletas votadas válidas, las votadas en blanco, las anuladas, las no utilizadas, las devueltas por los electores y demás documentos y materiales sobrantes. ARTICULO 117. En el caso que haya actuado más de un colegio en la circunscripción, la Comisión Electoral de Circunscripción efectúa el cómputo final. El Presidente de la Comisión Electoral de Circunscripción ordena que utilizando las boletas de muestra, se fije en el exterior de los Colegios de la demarcación, en los murales de las organizaciones de masas y establecimientos públicos del lugar el resultado de la elección. 25] La variante de votación en “bloque” por los candidatos de la “Revolución” promulgada en su momento por Fidel Castro, es una alternativa minimalista de la misma y se continua empleando en las elecciones para delegados a las asambleas provinciales y diputados a la Asamblea Nacional. ARTICULO 152. La elección para cubrir el cargo vacante de un Delegado a la Asamblea Provincial del Poder Popular, salvo que se produzca en los seis (6) últimos meses del mandato, se realiza por la Asamblea Municipal del Poder Popular correspondiente, en la fecha en que sea convocada por la Asamblea Provincial del Poder Popular, o su Presidente si ésta no se encuentra reunida. La Asamblea Municipal del Poder Popular constituida en Colegio Electoral, elige al Delegado a la Asamblea Provincial del Poder Popular. Esta elección debe efectuarse dentro del término de sesenta (60) días a partir de declararse vacante el cargo de Delegado. ARTICULO 153. En los casos en que durante el mandato resulte vacante un cargo de Diputado, el Consejo de Estado podrá disponer, si así lo considera, que la Asamblea Municipal del Poder Popular, constituida en Colegio Electoral, elija al Diputado para cubrir el cargo. ARTICULO 156. Si durante el término de su mandato el Presidente, Vicepresidente o Secretario de la Asamblea Nacional del Poder Popular cesan en sus funciones de manera definitiva, se procede por ésta a elegir el sustituto. Los proyectos de candidaturas para cubrir estos cargos se presentan a la Asamblea Nacional del Poder Popular por la Comisión de Candidaturas en lo atinente, de acuerdo con lo establecido en el Artículo 141 de esta Ley. ARTICULO 157. En la sesión de la Asamblea Nacional del Poder Popular en que se efectúa la elección para cubrir el cargo de su Presidente, Vicepresidente o Secretario, el Presidente de la Comisión de Candidaturas da lectura a la candidatura preparada a este efecto. Seguidamente quien preside la sesión invita a los Diputados para que, si lo estiman conveniente, hagan proposiciones para sustituir a alguno de los candidatos. Estas sustituciones se acuerdan por mayoría de los Diputados presentes. En igual forma se procede para la aprobación de la candidatura. ARTICULO 160. De cesar en sus funciones el Presidente del Consejo de Estado lo sustituye el Primer Vicepresidente. En todos los demás casos, la Asamblea Nacional del Poder Popular procede a cubrir el cargo vacante, conforme con lo establecido en los Artículos 156 al 158 de esta Ley. ARTICULO 161. De cesar en sus funciones simultáneamente su Presidente y su Primer Vicepresidente, el Consejo de Estado convoca a sesión extraordinaria a la Asamblea Nacional del Poder Popular con el objeto de cubrir los cargos vacantes. Constituida la Asamblea, ésta realiza el proceso electoral ajustándose a lo establecido, en lo atinente, en los Artículos 156 al 158 de esta Ley. 27] Y continua: “…La propaganda que se realizará será la divulgación de las biografías, acompañadas de reproducciones de la imagen de los candidatos, la cual podrá ser expuesta en sitios públicos o a través de los medios de difusión masiva del país, u otras formas de divulgación, según las disposiciones que al efecto dicte la Comisión Electoral Nacional. Los candidatos podrán participar de conjunto en actos, conferencias y visitas a centros de trabajo e intercambiar opiniones con los trabajadores, lo cual permitirá, a la vez, que éstos conozcan personalmente a los candidatos, sin que ello se considere campaña de propaganda electoral. ARTÍCULO 11. Conforme al artículo 84 de la Constitución de la República, los diputados tienen el deber de desarrollar sus labores en beneficio de los intereses del pueblo, mantener contacto con sus electores, oír sus planteamientos, sugerencias y críticas, y explicarles la política del Estado. Asimismo, rendirán cuenta del cumplimiento de sus funciones, según lo establecido en este Reglamento.